The Oticon OPN Nera 2 are Oticon’s advanced hearing aids and are suitable for people suffering from mild to moderate hearing loss. 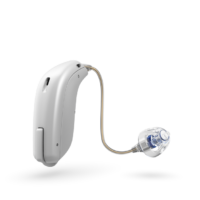 The Nera 2 contains 3 of the 4 of Oticon’s Brainhearing technologies making it easier to understand speech. 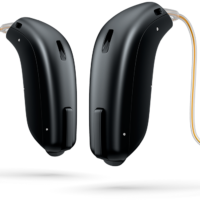 Like the Alta 2 and the Ria 2, the Nera 2 is available in a variety of different options, ranging from invisible devices to a full sized behind the ear shell. The Nera 2 also has a dual control button which is great for people who want more control on the actual device. The Receiver in the canal option is the most popular, but an Hearing Choices consultant can talk you through the different options and decide which will be the perfect option for you. 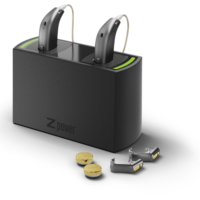 With the Nera 2, you can match the power of the receiver with your level of hearing loss. Like the other Oticon devices, the shells are housed in Nano coating which makes them dust and water resistant. The Nera 2 is also available in a variety of different colours.